Not far away from the Brezice Castle, near the largest Slovenian natural spas and the second largest Slovenian tourist center Terme Catez, pearly confluence of the rivers Krka and Sava, there is the Youth Centre Brezice - MC Hostel Brežice where we provide accommodation, relaxation, socializing and many experiences of your choice. It is suitable for members of all generations from the youngest to those of mature years. Youth Centre Brežice. 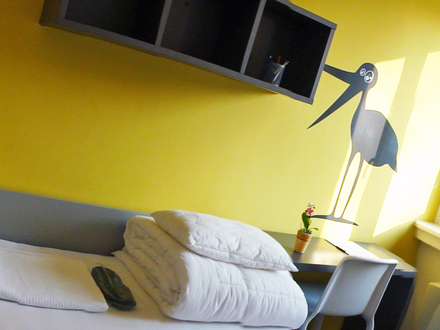 MC Hostel Brežice. Rooms Brežice.